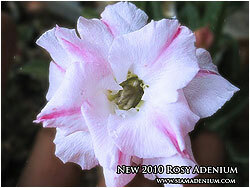 Today I would like to represent our new Adenium's development coming up with Aroma or Fragrant. You might not believe that Adenium can give fragrance. Now the dream comes true. From my experiences, I just accidentally discovered one of Adenium cultivars which can provide slightly smell during watering in the early morning. She was grown from “Harry Potter”, Adenium Crispum,or 2007 Hall of Fame. 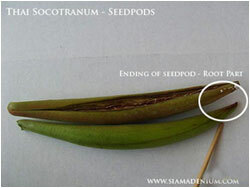 During 2007, I had got Harry Potter’s seedpod from natural pollination, not manually cross-pollinating the flower. I took that seedpod and grown to seeldings. Luckily, one of seedlings gave flower blooming and slightly fragrant like Jasmine in early morning. I was so happy and this was my begin to produce a hybrid flower : "Aromatic Adenium". A hybrid flower is basically the offspring of two distinct species, bred by human manipulation. Simply put, flower growers choose among the best growths and manually pollinate the flower to achieve specific results. This can result in flowers bred for certain colors or other desired characteristics. This can be beneficial both for preservation of the basic variety and to develop disease-resistant strains. tentatively keep coming up with stripe or line in the throat like Mother. 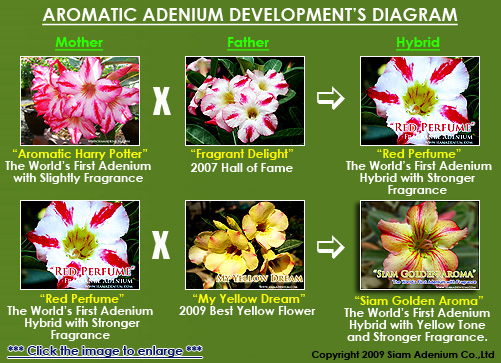 This was our first step of Aromatic Adenium's experiment from accidentally discovery with Aromatic “Harry Potter”. 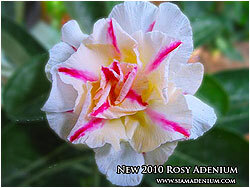 As you know, now Rosy Adenium or Multi-Overlapping Petals is the biggest revolution of Adenium of this year 2010. 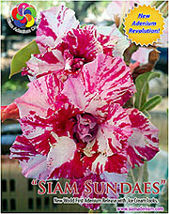 We have tried hard to make Adenium flower mostly like Rose or more overlapping petals, more like Rose. Now we can develop and make the petals up to quadruple overlapping petals, some flowers can give more than quadruple overlapping petals. mother ‘s flower characters. Ok, that’s all for today. Adenium has more to know, that’s why I am very fun to develop this plant. 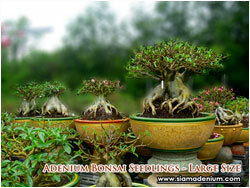 Adenium is not only beautiful with flowers but also form especially with Bonsai's maintainance. Most of Adenium flowers that you see in here are Obesum hybrid. 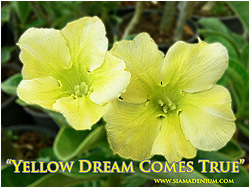 According to adenium form, mostly we like to play with other hybrids such as Thai Socotranum, Arabicum and mixed hybrids. These might be new thing to players or growers but I am pretty sure if you grow them, you will also have more fun like growing Adenium flowers. Below photos are some of our Adenium Bonsai Seedlings. Take care and have a nice day.